This two bdrm/two bath plus den corner unit is located at the "Altura." 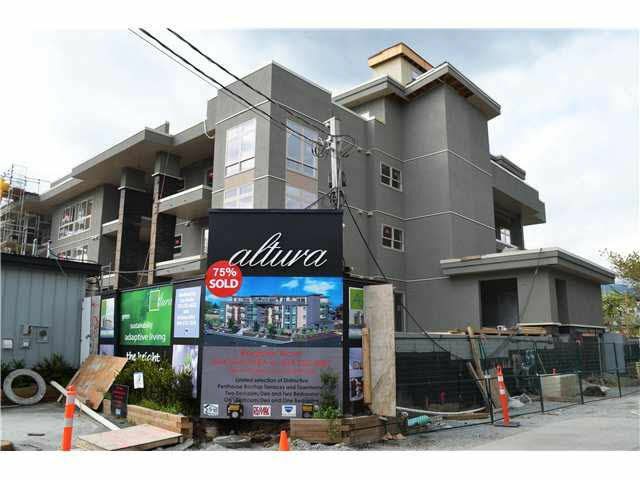 Quality construction, innovative design and flr plans by LRG Group who have been building in the lower mainland for over 30 years. This north east corner unit features 9ft ceilings, laminate flooring throughout, stainless steel appliances, quartz countertops, window coverings plus much more! Each unit comes with one underground parking stall and storage locker. Steps away from Gates Park, shopping, restaurants and transit including the West Coast Express. Available 12pm-4pm daily and after-hour appointments welcome. Call today for your private showing!